Conceived by ESoCE Net (the European Society of Concurrent Engineering, non profit association focusing on Collaborative Social Innovation) president Roberto Santoro, the People Olympics is an international initiative and disruptive approach, developed for societal change at large, with the objective of focusing collective intelligence to the joint Intent of addressing today’s challenges. 10 thousand-strong, this team will compete in a competition for their city’s well being, fun and social transformation. 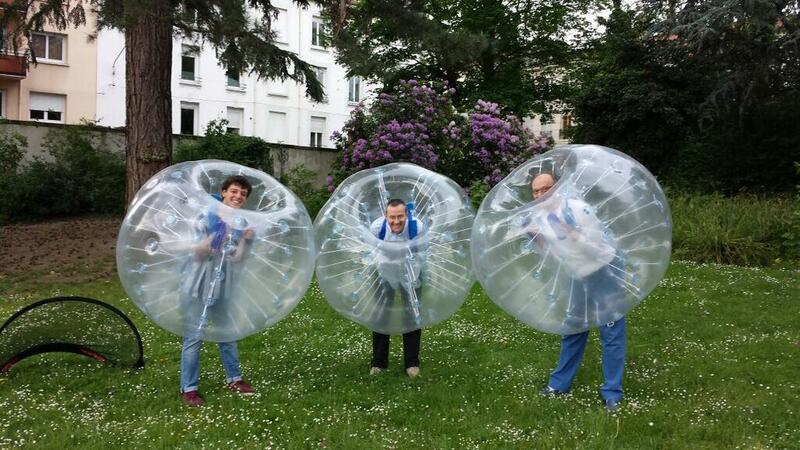 A social innovation game based on collective physical activity and fair play. The People Olympics game brings together competing cities. Each city has a team of 10.000 participants, which reflects that city demographics. The members of the team track their physical activity trough portable devices, which provides physiological data. A system collects all data and updates the real time cumulative fitness activities on each city’s level and compares it with the value of the other competing cities. People Olympics enables a totally innovative and new experience, new sense of belonging, new emotions, new relationship, healthy competition and a compelling motivation for a physically active and healthy living: People exercising at home, at work, in the city and on the go, get new excitement, healthier living and avoid boredom. People Olympics is the motivational mechanism par excellence and is dedicated to all, young and old, male and female participants, collaborating and competing trough their daily physical, social and co-creation activities in normal living scenarios. This approach promises to change the behavior of people because it involves a collective actio, which is an extraordinary motivating factor, influencing people’s ability to change. The People Olympics counts many partners spread through cities like Bilbao, Barcelona, Belfast, Milan, Rome, Saint-Etienne, Sofia, Istanbul, Taipei, Montreal, San Francisco and the European network of Living Labs. That is the reason why Human Cities Network created and developed a Toolbox to inspire everyone to undertake projects and actions in the public space. The Human Cities Toolbox is proposing a selection of European existing examples, inviting those who wants to reclaim public space to start action. As part of the initiative People Olympics “Tous champions! ” is an event in Saint-Etienne which encourages the public to the practice of physical activity (Football, basketball, urban fitness etc.). “Tous champions #3/People Olympics” will be presented by Isabelle Verilhac in Saint-Etienne during the Crossroads 2015 workshop from 16 to 17 March 2015. This presentation on the creative area of the Manufacture Plaine Achille will mark the opening Spring 2015 of People Olympics Games.